Do you in anyway forget your iphone passcode or security code and couldn’t recall the exact password in order to unlock your iphone device? Have you tried so many other method of unlocking your locked iphone and all could not avail? Today, am going to be sharing with you the basic way or method of unlocking your iphone. Meanwhile, you can also read the guide on how to unlock all Nokia deviceslocked without knowing the password for free. Apple has manual guide for unlocking most of its manufactured iOS devices in different model. And some of these guides can be accessed on Apple company support website. However, this post is crafted out based on the frequently asked question on unlocking iphone devices, and to explain in detail how to go about unlocking your device with the official tips from Apple. The frequently asked question comes up again; How can I unlock my iPhone if I forgot the password/passcode to login or access my iphone menus? Note: There is an option for you to configure your iphone device in order to format or erase its data after 10 consecutive incorrect password trials. Although, the settings is switched off by default mode, and can be turned on by going to settings via your menu section > click on General > Passcode Lock. ==> Check this New Free Method On How To Watch & Stream DSTV VideoChannels ON PC, iphones/ipad, Android, Blackberry And Java Devices. At this point, if you don’t recall your iphone passcode, you can still restore your device through the computer you used during the last synced or via iClouding it. This is very important because, it helps you reset your passcode and same time, retrieve your data backed up to the device. So in other words, the method is cool and nice for restoring all you got in the iphone before resetting it. Meanwhile, if you choose to restore in any computer because you didn’t synced it initially, then the device will be able to unlock thereby clearing the lost or forgotten passcode, but your data will be lost because you didn’t synced initially with the PC used. As you may know, any Apple representative can’t unlock your iphone without having to restore the iphone either, so once the restore option is used on the device, all the data in it will be erased completely. And your iphone will become as if you bought it newly. As everything will now show as it were when released for purchase by Apple iOS manufacturing company. How To Lock And Unlock Your Laptop/PC Using A USB. 3 Expert Tips To Speed Up iphone Device Charging Rate. How To Factory Reset Any iphone device without knowing the password. How To Format Or Hard Reset All Tecno Android Smartphones With Steps. How To Retrieve/Recover Deleted files Like PDF, Images, Games, Musics, Videos And Many More On Your Android Smartphones. Yes you have come to realize that you have no other option than to restore your iphone because you have completely exhausted the trial period and couldn’t remember the exact passcode used before. Now, to restore your iphone recall that it will delete all your data in the device, such as applications, videos, songs, games, photos/images, ebooks in pdfs and so many other things you saved in the storage memory. So at this point in time, all you need to do in order to have your files back to your iphone after restoring is simply to back it up. So after ensuring your iphone contents has been backed up then read on the below tips in order to restore it. In case you have initially synchronized your iPhone device with iTunes on a Mac or Windows computer system, you can still backup most of the recent additions to the iphone you are using, just by connecting your smartphone to that same PC you have already used before now without having to enter/input your lost forgotten passcode. And after the successful backup, all you just need to do is to “restore” your smart iphone device and then have those files you backup copied to your iphone with the use of iTunes. >> First, connect your smart iphone device to the PC (which you initially used to synced it). >> So if iTunes didn’t automatically synchronize your iPhone device, you can proceed to that manually, ensuring the synchronization and backup were successful. >> Next, click on where you see “Check for update.” And iTunes will let you know whether there is a newer version of the iphone software available. >> Now, click on Restore, and follow the displayed on-screen prompts in order to have the process completely executed. As you are on the process of restoring the device, it is recommended that you [again] backup the iphone when asked to do so. >> Still on the process, if you are asked to set up your iphone by the iOS Setup Assistant, then select "Restore from iTunes backup." >> Do well to select your device in iTunes and also choose the most recent backup of your iphone device you did in the last backup as recommended in one of the steps above. >> That’s all for the steps above. So after the processes have been successful, your iphone smart device will be restored followed with the last previous backup you did, all the information will be restored to your device, leaving the passcode settings open for any new passcode you want to use. This time around, if you still wish to use the passcode feature on your iphone, please take down the password on anywhere you can get it if you eventually forget it again. But it is advisable not to use the feature again in order not to fall into this mess again. That’s my candid advice. As explained by Apple, “If you Find My iPhone enabled, to erase the contents of your device can be achieved with Remote Wipe. Just like iCloud, if you have been using it to backup, you are likely to restore the most recent backup to reset the passcode after the device has been erased." >> First thing to do, is to sign in to iCloud using your Apple ID which was used to register for it, (rather than that of your iphone passcode which you are unable to recall now), and click on where you see "Find My iPhone." >> Next, click on "All Devices," and choose the iphone you wish to erase. >> Click "Erase iPhone" In the Info window. >> However, you can restore the information/data from iCloud backup to your iphone device (if only the backup was turned on before you erased it). >> As it were during the iTunes restore process, that’s how your iphone will be restored through iCloud, saving back the last backup you did. Now your iphone will no longer be locked because it has been unlocked via this process, and the option of passcode settings is now free and open for another set up of password if you still care to use the function. So ensure to use wisely if you care to set another passcode. In case you have never synchronized your iPhone before with iTunes via a PC or have never backup your device through iCloud before, then the only option left for you is to restore the iphone as new and by mere doing that all your data will be deleted. And here, a passcode which can be bypassed by anyone would not be of much use to you, as that was done that way just for security purposes. So in order not start all over as a new user to the iphone you got, just relax your brain by taking a nap. And after that, take your shower without thinking much about the password. Then leave the phone and go out probably to take a work, chat and have fun with friends, in the process of doing that, your password may flash to your memory, just look for pen and paper and jot it down. So when you get to where you kept your iphone, just enter the password. But should in case you have tried all these and couldn’t recall the password to the iphone device, then have it that the only option left is to restore the device even if the personal information you have in it is so much important to you. Nevertheless, in case of next time, ensure to back-up your iphone device with iTunes or iCloud. 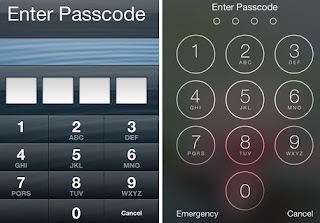 Also do not choose to use passcode if you are likely to face such issue in the future. You can use fingerprint enabled Touch ID instead. Hope the iphone troubleshooting and repair guide was successful, now comment and share the post for your friends to gain from it. Thank you. how to unlock iphone Canada, USA,Uk, india, Kenya, Europe, Nigeria, japan, las vegas, los angeles, - unlock iphone hack - unlock iphone imei - unlock iphone at&t - unlock iphone apple - unlock iphone activation lock - unlock iphone apple id - unlock iphone app - How to unlock iphone account.